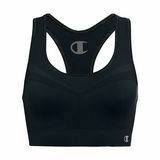 Champion Sports Bras provides comfortable, supportive styles that move with you, it's easier than ever to put in the work while staying stylish at the same time. 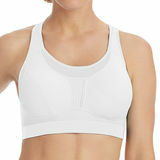 These Champion Sports Bra feature ventilated mesh panels accross the front to reduce your chances of overheating,while wireless cups give you the natural shape you crave. 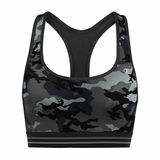 These bras has a timeless design that stand up to all exercises. 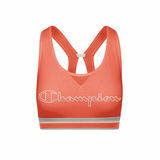 Champion Sports Bra features boast full coverage support and t-shirt compatibility, giving you a greater range of motion when you need it most. 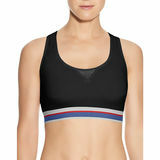 These bra is easy to wear while being both supportive and smoothing out your figure. 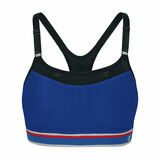 Some features adjustable keyhole backs with hook-and-eye closures, giving you more control over your bras fit. 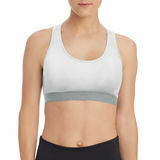 Lining with molded cups provides complete coverage while the overall sports bra design prevents bounce. 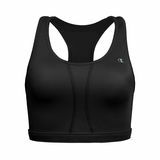 Pair a seamless style with fitted or loose clothing, and choose moisture wicking fabric when your workouts are guaranteed to make you sweat.